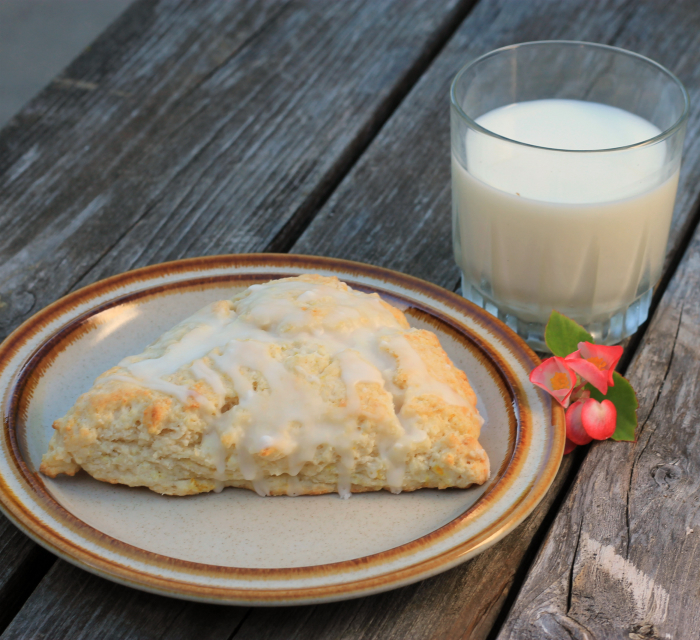 Lemon cream cheese scones… a classic combination of flavors. We spent part of last weekend with our daughter and fiancé . She lives about a couple of hours away, so it’s not too long of a trip. But it was nice to get out of town and away from things for a bit. It was a relaxing time, no rushing around like our weekends have been this summer. 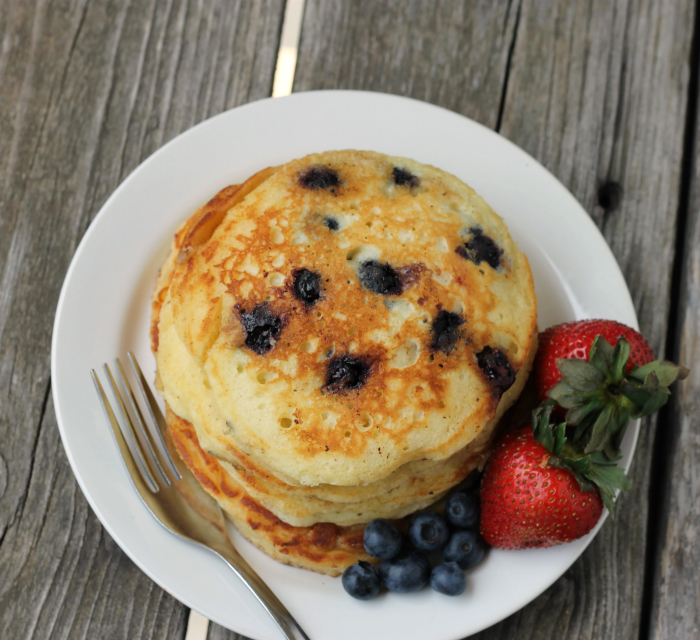 Lemon blueberry pancakes… two flavors that go great together. Perfect for a lazy weekend morning breakfast. First of all I want to say that I hope everyone had a wonderful 4th of July weekend. My weekend was simple and relaxing, just the way that I like my three day weekends. Oh, there was a bit of excitement also, our daughter Krista got engaged. Yep, so there will be another wedding coming. So much fun! On Sunday I decided that pancakes were a good idea for brunch. 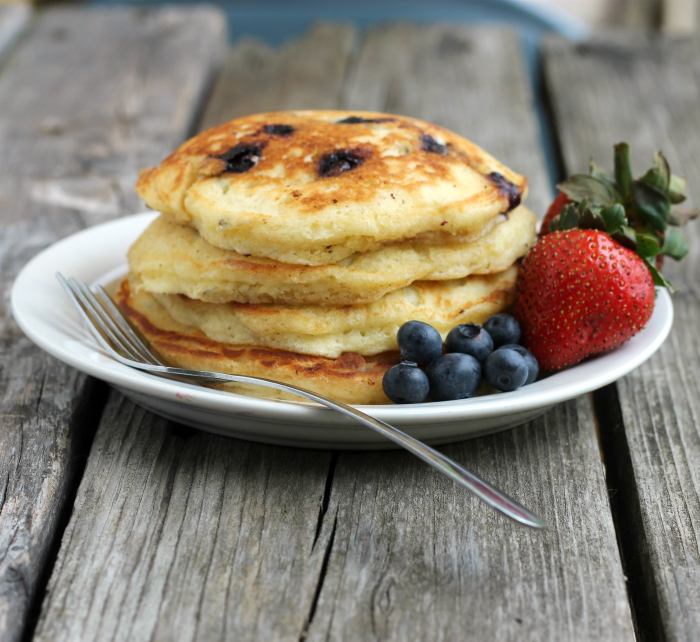 But not just any ordinary pancakes, oh no I made these lemon blueberry pancakes. I love the taste of lemon with summer fruit; like this combination of lemon and blueberry. I am a big fan of pancakes any day of the week and once in a while I will even make them for dinner. But once in a while I like to tinker around with new flavors. I have had lemon pancakes before and loved them. 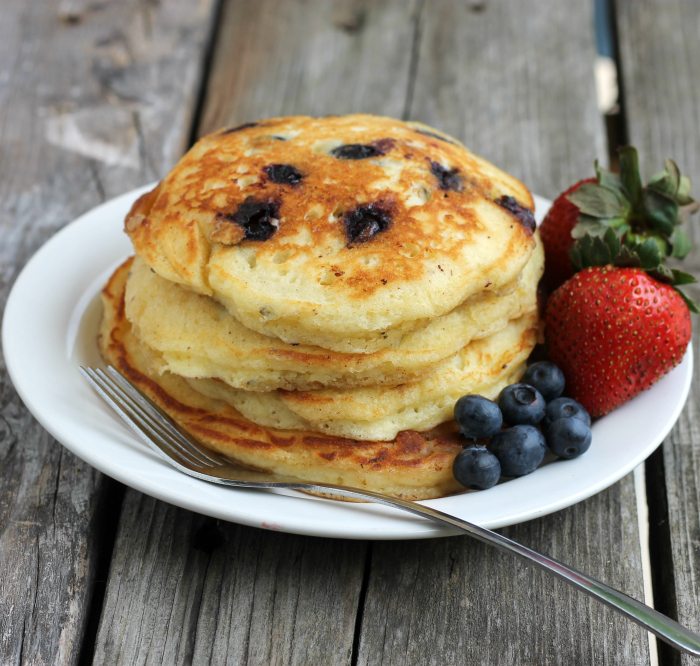 I love making blueberry pancakes, they are one of my favorite pancakes. So these lemon blueberry pancakes were very flavorful, the flavor of the lemon came shining through as well as the blueberries. I think that I may have found a new favorite pancake. When it came to the syrup, I didn’t serve them with any old pancake syrup, I made a strawberry syrup. I mean really, you can’t serve special pancakes with maple syrup, can you?!? 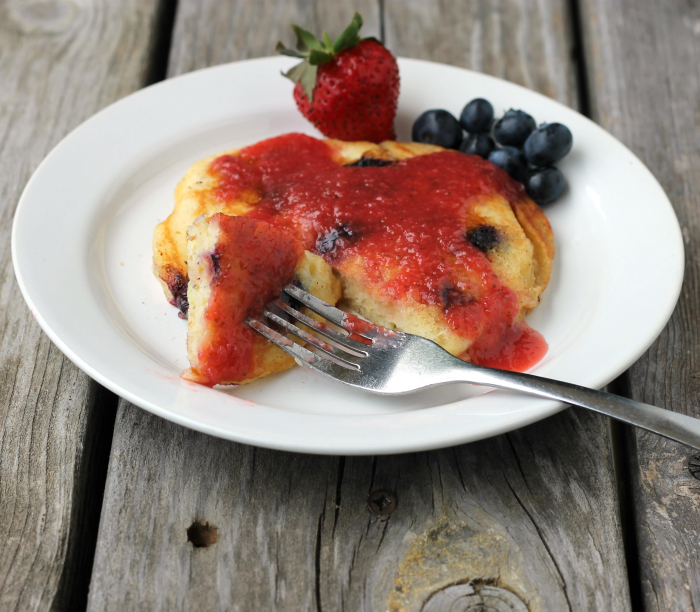 Nope, the strawberry syrup was just the right touch and made these already tasty pancakes even tastier. The strawberry syrup will be coming on the next blog post. 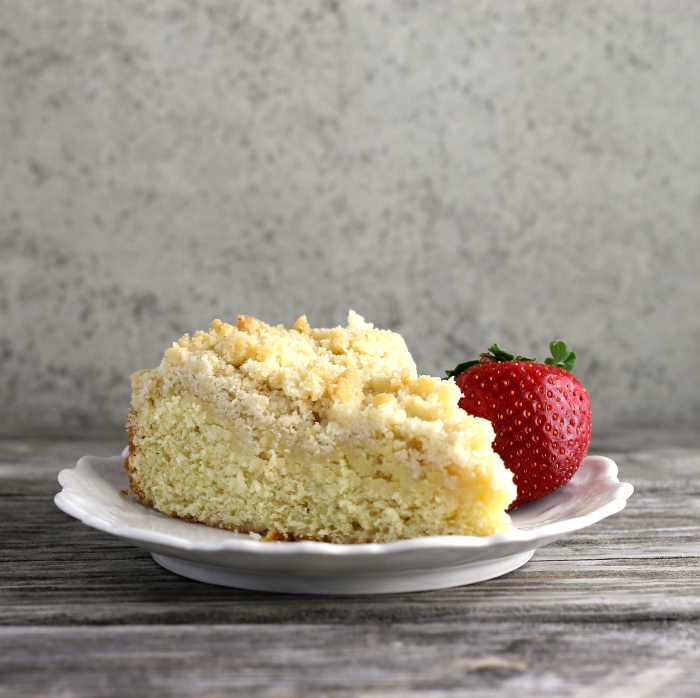 Sift together the dry ingredients flour, sugar, baking powder, baking soda, and salt. Separate the egg whites from the yolks. Beat the egg whites until stiff peaks and set aside. Mix the zest from the lemon, lemon juice, sour cream, evaporated milk, 2 tablespoons melted butter, and egg yolks. Quickly mix the dry ingredients with the wet ingredients. Fold in the egg whites and blueberries. Over medium high heat melt butter in a skillet, once the butter is melted and skillet is hot pour batter onto the skillet. The size really depends on your preference. Cook until the batter starts to bubble and the under side is browned, flip and cook until the second side is done. (Flip only once). Serve while hot with your favorite syrup.